Easy Rides is a comprehensive paratransit software for small and large operators alike. It's the industry-leading solution for paratransit dispatch, operations, and reporting. Easy Rides includes features such as GIS, AVL, Electronic Manifests on tablets along with advanced tools to make reporting, billing, and data analysis a breeze. 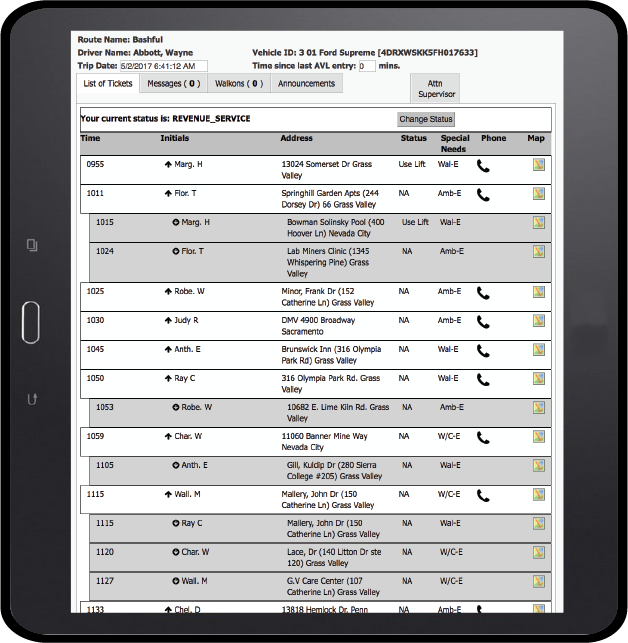 The Android-based driver software runs on any standard Android-tablet and can be installed on the same MDT as fixed-route driver software, allowing for flexible dual-mode vehicle use and reduced spare ratios for agencies. Our Easy Rides Software Suite was created to be intuitive to the user and fully scalable to a wide variety of paratransit and demand response services. Easy Rides is currently installed in more than 90 agencies and is continuously growing.